Electric fences are often chosen because they offer a higher degree of safety than normal fence systems. Some of the advantages of electric fences include the fact that they can be used in a variety of ways, they have a versatile design and they can meet every challenge. This becomes clear from the vast choice of conducting material available. 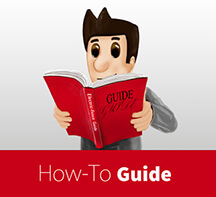 Wire and polywire conductors have proven themselves over time. 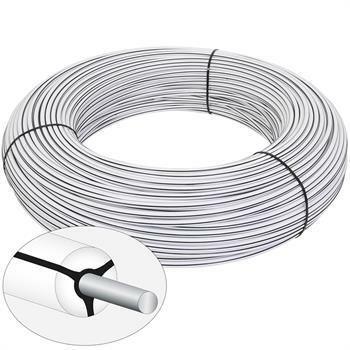 What characterises electric fence polywire? Electric fences have become established as a good way of keeping animals safely fenced in or keeping wild animals out. They combine a standard mechanical barrier with the deterrent effect of an electric shock if the fence is touched, and thus prevent the fencing from being damaged or broken through. The essential factor for ensuring this is to choose high-quality fence components and tried-and-tested technology. Regardless of the model, a complete kit includes fence posts, conducting material to be attached to the posts by insulators and the energiser. 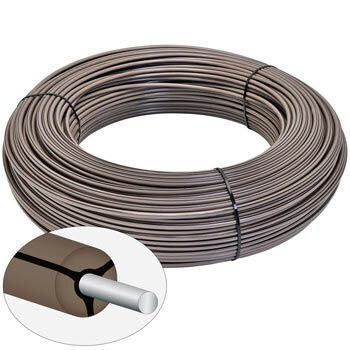 As far as electric fence conductors are concerned, certain people opt for electric fence wire rather than tape, rope or polywire. Electric fence wireoffers certain advantages and can be used in a wide range of applications. 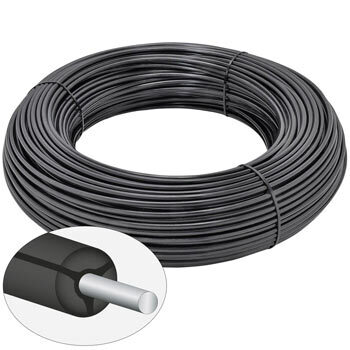 Finally, the value for money offered by electric fence wire also speaks for itself. 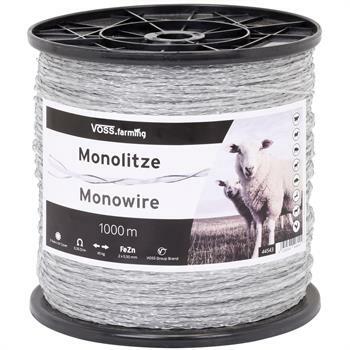 The main advantage of electric fence wire becomes immediately apparent: It is thinner than other conductors and therefore lighter. With a diameter of less than 3 mm, it is barely visible, which is a quality that is often looked for. 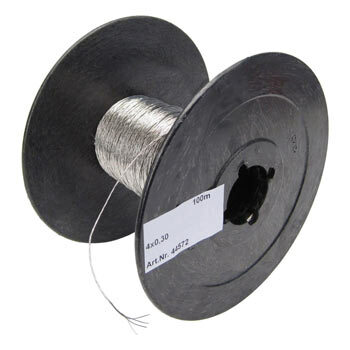 In addition, wire conductors are suitable for use in combination with mobile electric fences. 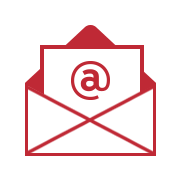 Finally, their design facilitates transport and ensures greater flexibility. 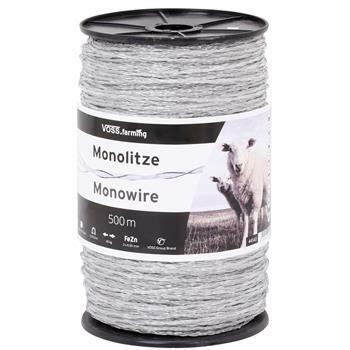 However, this does not mean that polywire is unsuitable for use on permanent electric fences – on the contrary, electric fence wire made of stainless steel is particularly suitable for permanent fences as it is extremely hard-wearing and sturdy. 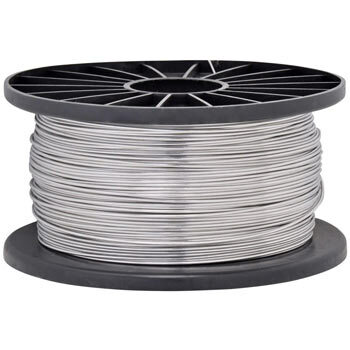 More than plastic braid with smaller conducting wires, polywire consists of tough, hard-wearing steel wire, and is therefore a resistant and durable conducting material. 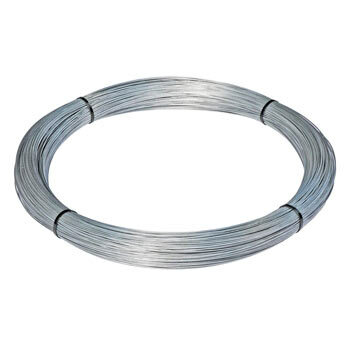 In addition to stainless steel, other metals are also available if you opt for electric fence wire. 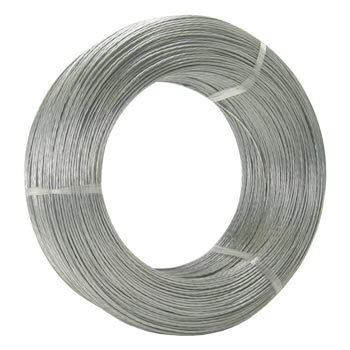 For example, copper and aluminium are suitable for use as electric fence wire. 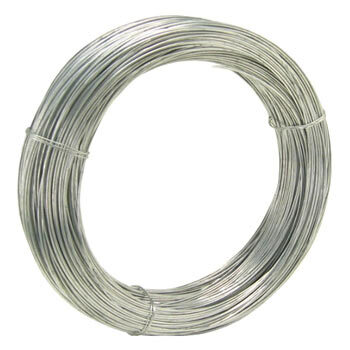 Aluminium wire for electric fences is characterised by the fact that it is has even better conducting properties than steel wire. It is also extremely lightweight and demonstrates excellent weather- and corrosion-resistance. 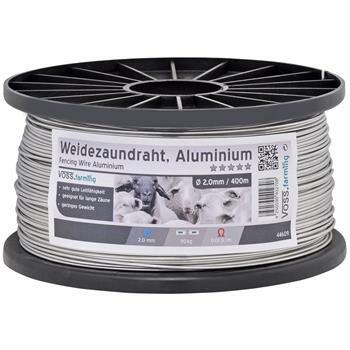 Thanks to their high conductivity and their related low resistance, electric conductors made of aluminium are available for long fence systems and sophisticated permanent fences with powerful energisers. 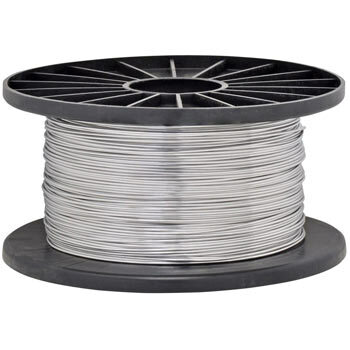 Galvanised polywire for electric fences are more affordable and can also be used in a number of ways. As an option, they can be wound onto a practical plastic reel for quick and easy mounting. 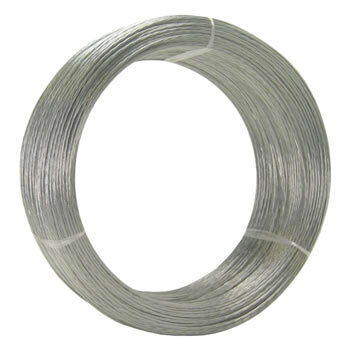 In general, several single twisted wires form one stainless steel strand. 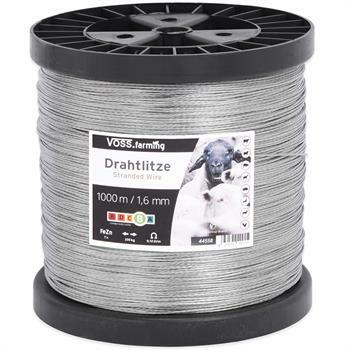 If you don’t require a large electric fence or a fence providing defence against wild animals, but are looking for conductors for a fence to keep out martens or protect your pets in the garden, you will be well served with wire conductors.